PARIS — The high-speed Eurostar train service urged London-bound passengers on Thursday to avoid all but essential travel to Britain until April, amid a mounting customs union strike in the lead-up to Brexit. Crowds spilled out into the main hall of Paris’s Gare du Nord station, as trains were canceled and travel delays extended as long as six hours. “We strongly recommend that you do not travel during this period unless necessary,” Eurostar said in a statement. 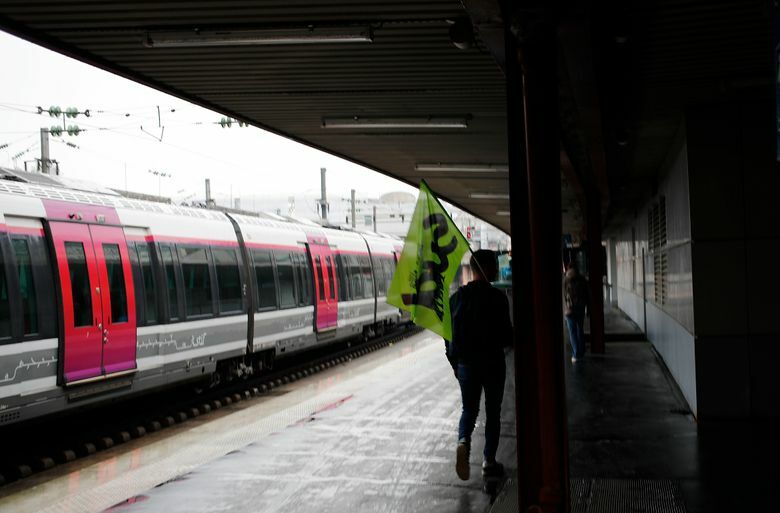 The interruptions, which began in early March, are not a direct consequence of Brexit but rather a protest by French customs workers, highlighting what they see as a lack of necessary infrastructure in advance of Britain’s looming departure from the European Union (EU). In recent weeks, similar delays have also occurred at other border points such as Lille and the port of Calais, where lines of cars and trucks have extended for miles outside the entrance to the Channel Tunnel. “Brexit is the re-creation of a border, and when a border is re-established, there are formalities that must be observed,” said Vincent Thomazo, a union representative. If Britain signs on to the withdrawal agreement negotiated between Prime Minister Theresa May and the EU, it would remain in the European customs union until 2020. But the protest is simulating what could happen in the increasingly likely event of a no-deal scenario, should Britain crash out of the EU with no withdrawal agreement. On Thursday, May met in Brussels with EU leaders, who granted an extension of the March 29 deadline but not the three-month one she had sought. Around the same time, Amina Douf, 22, a retail manager from London, was standing outside the Paris Eurostar entrance, waiting for her train back. She said she had received a text message from the company yesterday, informing her that her train Thursday would be significantly delayed. She rebooked onto an earlier train free of charge, but arrived at the Gare du Nord to find that the earlier train, too, was significantly delayed. She worried that although it was the French customs officers who had initiated the strike, the mayhem in the Gare du Nord could be a harbinger of things to come in a post-Brexit Europe. “It’s going to be difficult for British citizens to travel in Europe,” Douf said, adding that she still expected there might be a second referendum on Britain’s membership in the bloc. The Eurostar, which connects London to continental Europe through the Channel Tunnel, is a major artery of commerce and tourism. Ever since it opened in 1994 as a joint venture between the French and British governments, the high-speed network has been heralded as model of transportation coordination across international borders. It also became de facto symbol of the postwar dream of an “ever-closer” Europe, in which passengers can travel between central London and central Paris in roughly two hours and fifteen minutes. Britain was never a part of the so-called Schengen zone, the area of 26 European states that have a common visa policy and that ensures the freedom of movement for all those with EU visas or passports. But the ease of the Eurostar nevertheless brought the island nation closer to its continental counterparts than ever before. After simple security and passport checks, passengers could cross the English Channel in less time than it takes to travel from the north of England to the British capital. Since the beginning of the strike, French customs officials have been asking Britain-bound passengers detailed questions about their vital statistics and their itineraries, and fewer checkpoints are open to underscore the need for more bodies. Last November, the French government announced that it was in the process of recruiting an additional 700 customs officers between 2018 and 2020, but Thomazo said this will hardly be enough. “There has to be an infrastructure for this,” he said. For some, however, that French customs officials were simulating a Brexit scenario in advance served little practical purpose. 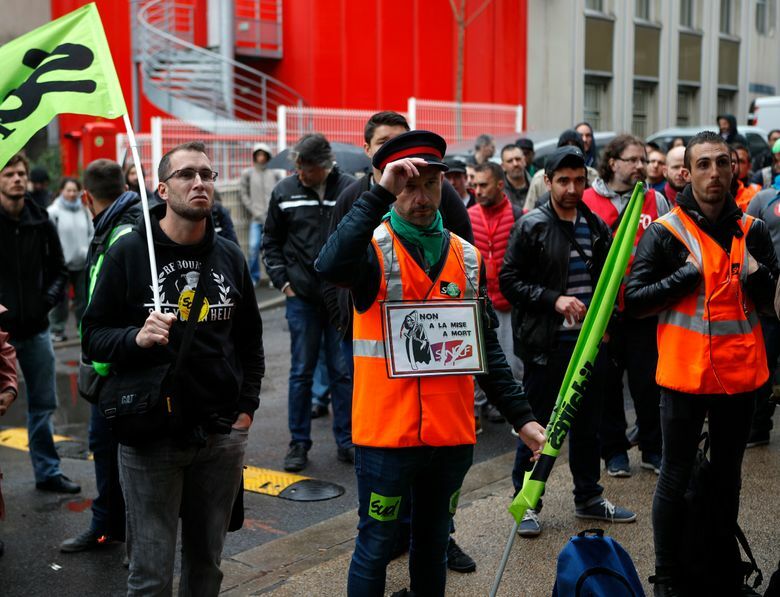 Rita Mohoboollah, 42, an administrative assistant in Paris, said she had lost money on a London hotel because of impacted travel plans — and all from a strike that was only on the French side of the Channel. For the moment, operations in London remain unaffected. “It’s a little annoying,” Mohoboollah said.